I got to see the first two episodes at the premiere earlier this week. I will not share any details about it, since I am under embargo upon penalty of death from @bronwen. But I will say that it represents an attempt to do a Star Trek for a post-Game of Thrones tv audience. It looks expensive, and it looks cared-for. But the thing I keep thinking about is this: for years, decades even, television sci-fi fans have heard the same litany: “your show won’t survive because it’s not popular enough.” Whether or not the culprit was ratings, advertiser dollars, network priorities, or one of a thousand other elements that can tell the people who write the checks that the shows we love are not a worthwhile investment. 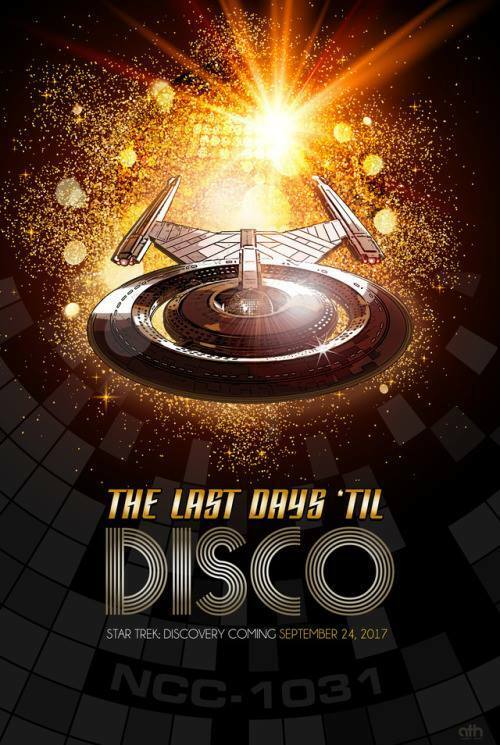 There has been a lot of hand-wringing over the decision to launch Disco on CBS All Access. And yes, it’s going to mean that fewer people will watch it than if it was broadcast via CBS on-air. But here’s the way I’m looking at it: for the first time, you can show your support for a Star Trek show in a way that will be counted directly –– money. You buy a subscription to CBS All Access, and they know exactly how many people are watching the show, how many people support Star Trek, and what kind of audience there is for future endeavors. No more Nielsen boxes in a scattering of homes you’ve never heard of, no more gnomic ratings reports to parse, no more waiting for the upfront to see if the advertisers will buy in. Is it annoying to have to keep buying new subscriptions to get all the different shows? Sure. But it’s a temporary situation as the industry goes through a foundational transformation. And I would much rather have this system where I know that if I’m watching a show, and paying for a service, the network and the studio is aware of my interest and can factor it into future programming decisions.